A first of it's kind survey by the National Association of Realtors (NAR) reveals that buyers prefer a staged home that appeals to their tastes, and that proper staging results in a higher sales price. Keep in mind that for today's buyers, staging goes beyond a sparkling clean home and a clutter-free environment. Staging with color and furnishings helps a buyer visualize their belongings in the space. In the survey, 93% of real estate agents who work with buyers said they thought a well-staged home contributed to a positive impression of a buyer's view of the home. 46% of agents thought a staged home contributed to a buyer's willingness to tour the home in person after viewing it online. Forty-five percent said a home decorated to a buyer's taste positively impacted its value. If you are buying real estate in Sarasota, Manatee, or Charlotte Counties in Florida, you should be aware of protected scrub jay habitat. 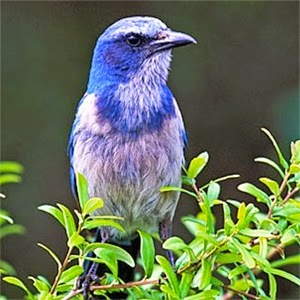 I just added a page on my website www.davidbarrhomes.com with more information about scrub jays, with links to maps and county resources. Look under FAQ on the main menu. 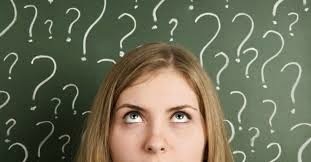 It has struck yet another buyer new to the Venice and Sarasota real estate market: analysis paralysis! Our market is moving too quickly to fall prey to the understandable urge to ask lots of questions surrounding the purchase of a home or condo in our area. Besides, if a property has been on the market for 8 months, it won't sell right away, will it? The answer is most likely yes, it will. I see it time and again. Buyers just don't have the luxury of being able to wait to make up their minds about moving forward with an offer. We have a shortage of housing inventory and an overabundance of shivering snowbirds just chomping at the bit to snap up their slice of paradise. In Venice, a lot of homes have 2 bedrooms. Since so many buyers and investors come from out of the area, they are conditioned to believe that converting a garage space to a 3rd bedroom creates value and increases demand. I picked the South Venice area to compare the most recent sales of 2 bedroom homes, and 3 bedroom homes without garages that were obvious conversions, over the past 90 days. 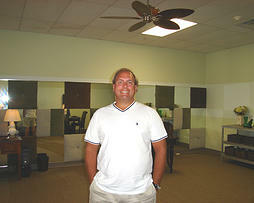 2 bedroom homes sold for a median price of $134,000 at $96/sq ft, and sold within 37 days. 3 bedroom homes without garage sold for a median price of $139,900 at $82/sq ft, and sold within 55 days. Why is this type of 3 bedroom home actually less valuable? The two major reasons are that Venice attracts retirees that don't need 3 bedrooms, and buyers and tenants are interested in covered, secured parking. Our MLS has a great tool that most agents don't seem to be aware of. It's called RatePlug. RatePlug takes the current list price of the property and factors in mortgage payments, HOA/condo fees, taxes, PMI, and property tax and insurance, to give buyers a complete picture of the property's monthly ownership expenses. This tool is particularly helpful for investors to calculate potential cash flow. you can access the information. If you're an investor looking for Venice FL real estate, here are three currently available properties for sale you may want to consider. 1) 2/2 villa in popular neighborhood near beaches and shopping. List price $75,000. Renovated comps in same community are selling starting at $125,000. 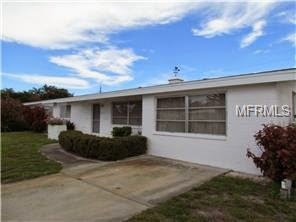 2) 2/2 single family home, bank owned, in South Venice. Terrazzo floors throughout, needs cosmetic work but tons of curb appeal and open plan with 1300 sq ft under air. List price mid $80's. Fix and flip with a potential list price in the $140's, or polish it up for cash flow. 3) The best currently available single family home on Venice Island is a 2/1 with volume ceilings and open plan, just blocks from deeded Golden Beach access. One look and you'll see this could be a great potential seasonal rental, sold turn-key furnished. Listed just under $300K. Contact me for more details and to schedule a showing. If you're thinking of selling your Venice FL home or condo, using my BREAK philosophy will help you get a quicker sale for the most money. K Keep, donate, or throw away, to make your eventual move easier. You can get a no-obligation home value analysis on my website, and you can also see comparable homes for sale in Venice from the MLS.